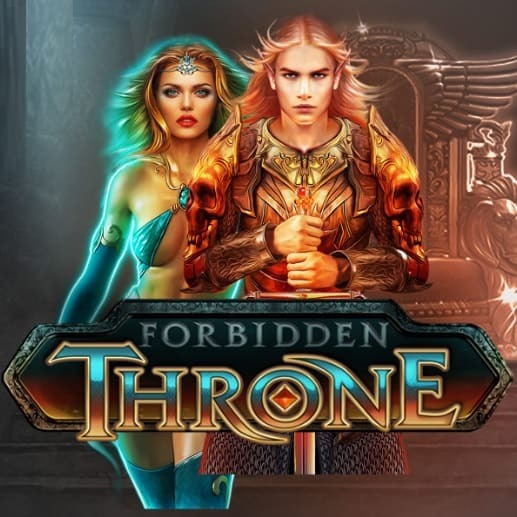 Go on a quest to uncover the Forbidden Throne with the new slot from Microgaming, by joining the 2 legendary guardians, Wulthor the Elven Lord of Fire and Sorconass, the Queen of Ice, who will help you on your journey to fight for the throne. Symbols on the reels include glittering gems, golden helmets, amulets, crowns, and spellbooks. You will also meet the Dark Elf, Sorceress, Unicorns, Phoenix and Forbidden Throne logo which are all wilds. Visually, it looks like a fairytale. This amazing slot has 5×3 reels, 40 fixed paylines, substituting Wild symbols, Scatter symbols that will trigger Free Spins, retriggerable Free Spins, guaranteed Wild reels and a whole lot of mystical winnings. When you land 3, 4 or 5 Scatter symbols, you will trigger 10, 20 or 30 Free Spins respectively. What’s exciting about this feature, is that Free Spins can be retriggered when you land 3 or more Scatter symbols during the feature. 1 to 5 Wild Reels are shown in every spin, and, the Scatter symbols shine through Wild reels. You will be awarded with a predetermined amount of Free Spins based on the number of Scatter symbols active on the reels. All of the lines played will be the same as the game that started the Free Spins. Scatter symbols can appear in any visible position and they shine through the reels. These symbols are great because they will earn you Free Spins when you land 3 or more of them. When you land Wild symbols, they will substitute any symbol except the Scatter symbol. 1 to 5 Wild reels will be shown in every spin during the base game and the Free Spins feature. There are guaranteed Wilds on every single spin! Victory awaits you, go ahead and play at any of Microgaming Casino, and claim the Forbidden Throne.